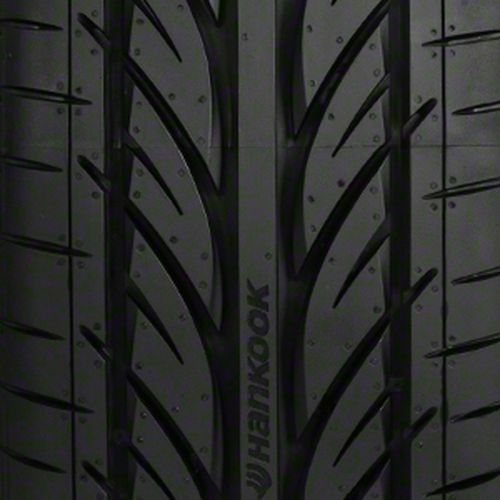 The Hankook Ventus V12 EVO K100 is an ultra-high performance summer tire specially designed for drivers who want excellent control, year-round traction, and ride comfort. 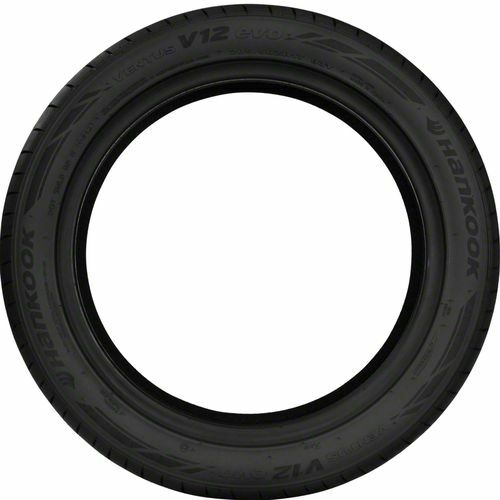 Because it is a summer tire, Hankook Ventus V12 EVO K100 is not ideal for driving during near-freezing temperatures. It is ideal for sports cars, coupes, and sedans with its high-performance compound molded into a directional tread design. Its tread™s profile feature a multiple tread radius which combines shoulder ribs, intermediate tread blocks, and the continuous center rib to provide strong braking and reliable handling. Helping with traction and reducing hydroplaning risk are the wide circumferential and Y-shape lateral grooves which drain water efficiently. The internal structure of the Hankook Ventus V12 EVO K100 consists of twin steel belts reinforced by two-ply spirally wrapped nylon with two layers of rayon casing to help resist distortion while cornering at high speeds. 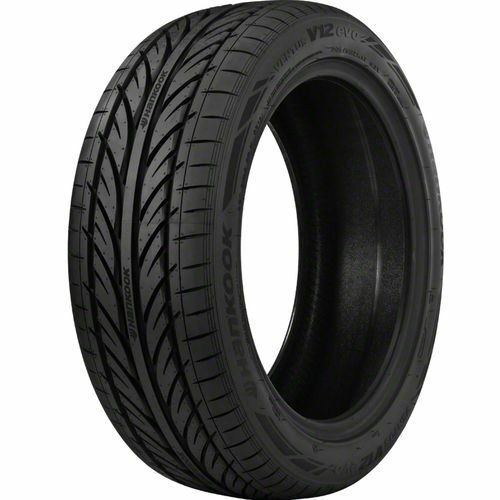 205/45R-17 280AAA 1,235 lbs 50 psi 10/32nds 6.5-7.5" 8" N/A 24"
Purchase includes the Hankook Ventus V12 evo (K110) tire only. The wheel rim shown in the picture is not included. Picture provided is a stock picture from the manufacturer and may or may not reflect the actual product being ordered. All Hankook Ventus V12 evo (K110) tires are continuously developing with manufactured improvements. With that said, Simple Tire and the manufacturers have the right to change these tire specifications at any time without notice or obligation. 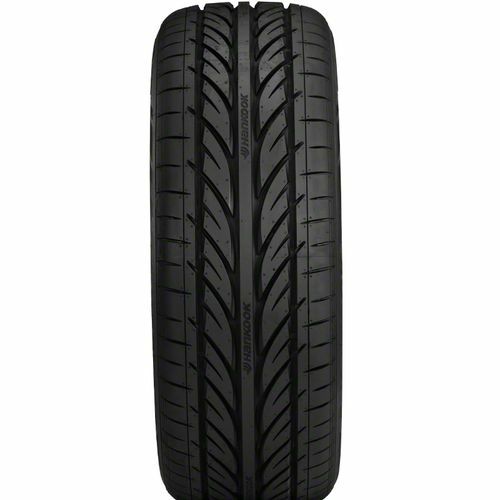 Please Note: Specifications of the Hankook Ventus V12 evo (K110) tires shown above are listed to be as accurate as possible based on the information provided to us by Hankook tires. Only one hundred miles on this tire but it was bought to match the existing set, as the previous tire experienced a side wall puncture. I'm very satisfied with the performance, ride, handling and longevity of these tires. I live in Southern California, our winters only include more rain, so I cannot comment on winter traction. Too bad the tire is discontinued, I would buy some for my other cars. Simple Tire was easy to do business with and delivered a quality product on time at a fair price.